Fallschirmjager volume 2 by Roly Pickering is a eagerly anticipated new publication. 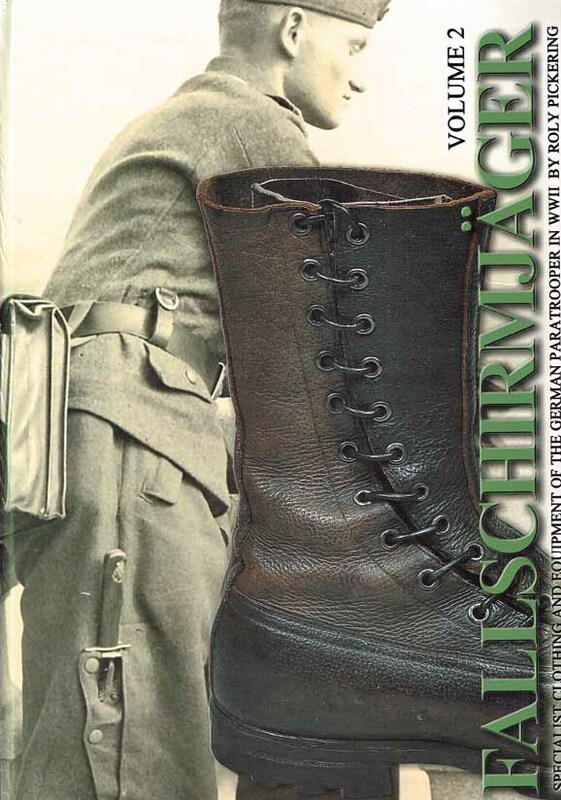 Following the successful volume 1 covering helmets and smocks, this 2nd volume examines, in fine detail, the manufacture, design and history of German Paratrooper trousers, boots and para specific equipment. Some rare ‘unknown to many’ items are unearthed, the Fallschirmjager ammo carrying harness to name but a few. Also heavily featured in the work is the ultra rare side lace up para boots and the scarce FG42 ammo bandolier in splinter pattern. Almost 260 pages makes this one of Military Modes biggest books to date. We have kept the same wonderful format, using many large size close up, high resolution photographs. xcellent! H/C. 257p.